I didn't believe it at first, but these guys are for real! 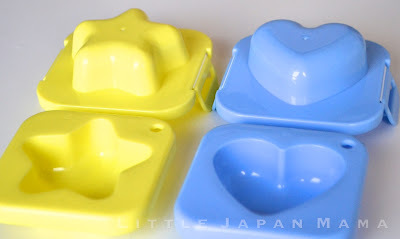 I'm not very good at peeling hot eggs, so my eggs were hardly luke-warm when they went in the molds. Five minutes later after being in the fridge, they came out as you see in the photographs below. If you peel them when they're hot, they should come out perfect (not like mine). 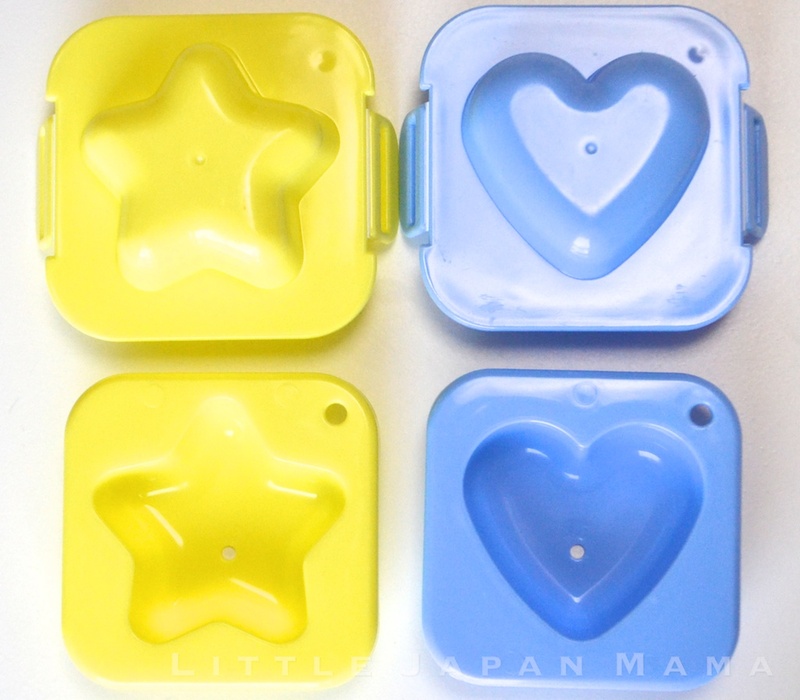 The star egg mold usually comes out looking like a flower, which is really cute, since the middle is yellow and the "petals" are white! 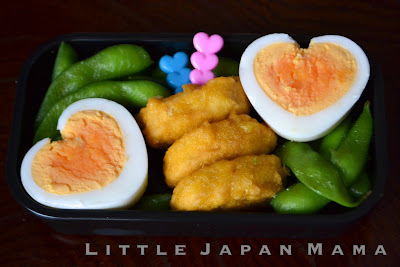 I used one egg and kept one in the refrigerator until the next morning, so I made two days' bento eggs in one go. These photographs are seriously the first time I tried using them!